A Volvo V60 frequently beeping my iPhone, wherever I was, to message me with this or that, and the most powerful American production car ever built dumping a crankcase of oil as I quickly shut it down were memories of 2015 I’ll not soon forget. There were other highlights – unveiling of the Bentley Bentayga, Ford’s aluminum-bodied pickup, the return of Alfa Romeo, and many more – but the Volvo and Dodge Charger Hellcat spiced the year for me. On a cold, late night in January, I parked the Volvo V60, got out and helped push the wife of a Weld County commissioner in her front-wheel-drive Hyundai from deep snow along the side of the street. A VolvoOnCall app, downloaded earlier into my iPhone which was left at home with Jan, beeped the phone and showed her on a map where the V60 was parked. 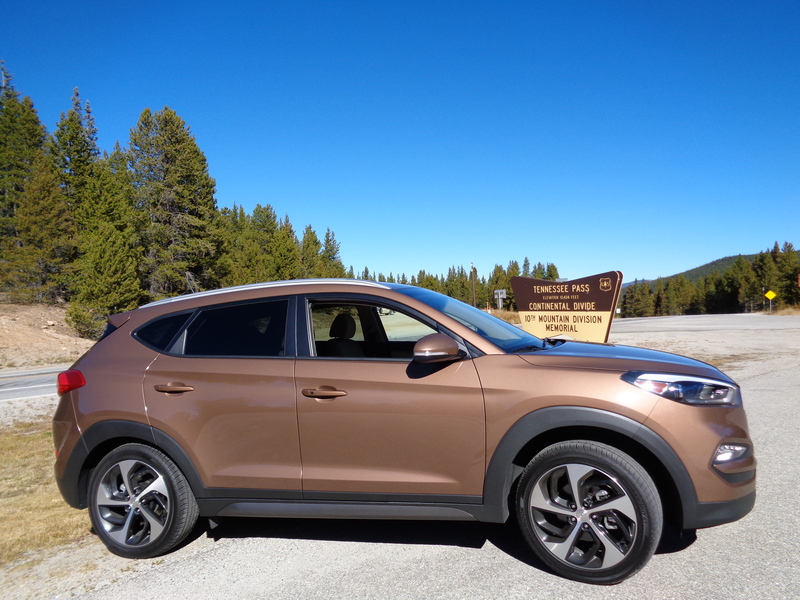 Walk away from the V60 without locking its doors and an alert will sound in the phone. The V60 can also be started with a signal from the phone’s app. 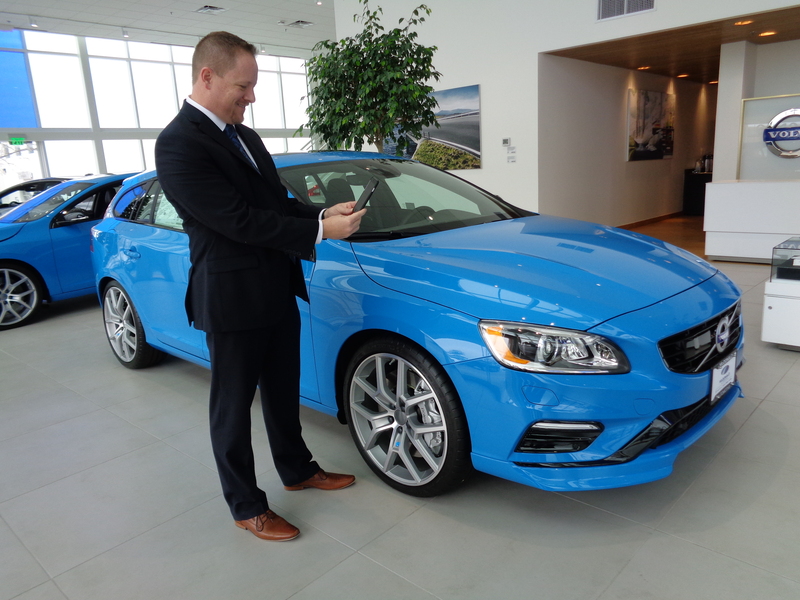 I dropped by McDonald Automotive Group dealerships one morning last week to visit with owner Doug McDonald about the amazing Volvo app. 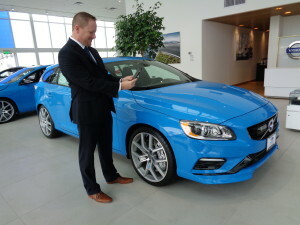 Doug had departed to warmer climes for a couple of weeks; Will Routon, general manager of the Volvo store, discussed with me the phone app’s many capabilities. Doug McDonald 50 years ago got into the car business in Denver, opening a Volkswagen dealership. Today, with his sons’ involvement, he oversees the sales of five brands, having added Audi, Volvo, Mazda and Hyundai. “Well, hell’s bells,” I muttered on an evening in April when my longed-for time in the Hellcat version of the Dodge Charger in reality lasted five hours. 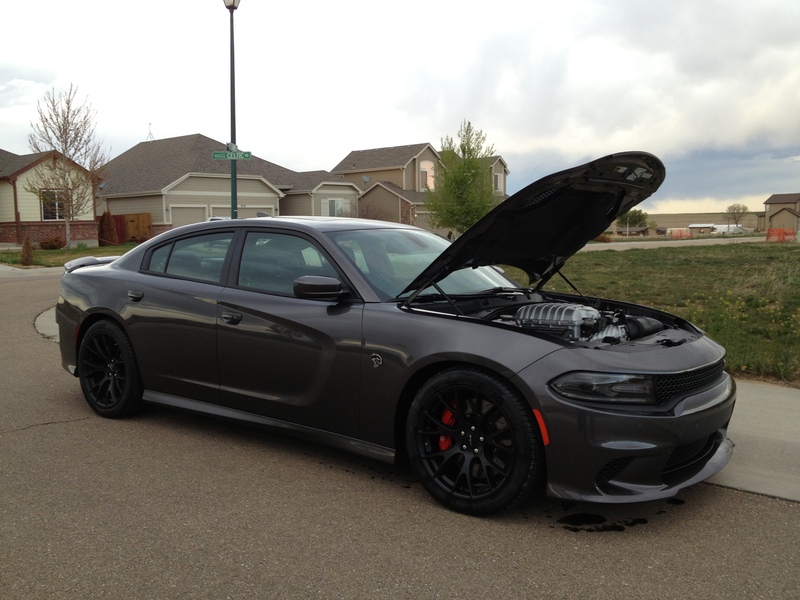 The ‘Cat is the powerful beast with a 707-horsepower, 6.2-liter supercharged Hemi V-8 engine and 8-speed transmission. Dale, Sandy, Jan and I were only 15 miles away from a Johnstown restaurant when prompting from the driver info center indicated an oil leak. I quickly shut down the engine as oil ran from the crankcase drain hole, which had lost its plug. Chrysler execs reclaimed possession of the Hellcat, sent it to Detroit for a once-over, soon returned it, fine as could be, and I enjoyed an exciting few days in the awesome sedan. 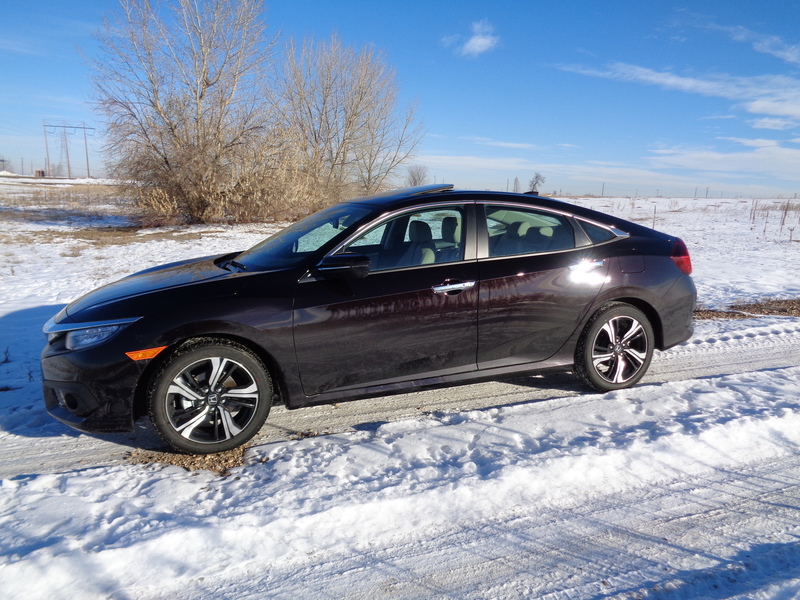 Car of the Year – The practical side of me will overlook the wonderful six-figured Mercedes-Benz S550 4Matic sedan and Jaguar F-Type R convertible in favor of the made-over 2016 Honda Civic. The 10th-generation Civic finally has some exterior style, along with roomy interior, well-cushioned seats, a small turboed engine and continuously variable transmission very responsive with not a lot of whining and slipping. It outperforms most other CVT transmissions. 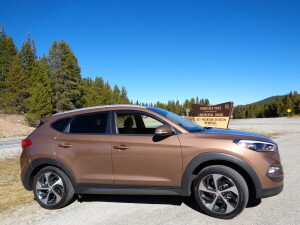 Truck of the Year – The 2016 Hyundai Tucson Sport AWD crossover, with 175-horsepower, 1.6-liter turbocharged 4-cylinder engine mated to a quick-shifting 7-speed dual-clutch automatic transmsission. It climbed the hills around Vail in outstanding fashion. Most powerful – That Hellcat with 707 horsepower and 650 lb.-ft. of torque, followed by the 2015 BMW X6 M that develops 567 horsepower and 553 torque from a twin-turbocharged, 4.4-liter V-8 with direct injection and variable valve control. Lowest priced – The ’15 Nissan Versa Note at $19,180, including a backup camera. Another reasonable price was $20,810 for the ’15 Volkswagen Jetta TSI 1.8T SE. Most expensive – The 2015 Mercedes-Benz S550 4Matic Sedan, driven just before Christmas, topped out at $128,935, just ahead of the 2016 Jaguar F-Type R Convertible at $121,345 and the ’15 Range Rover Supercharged LWB SUV at $118,501. 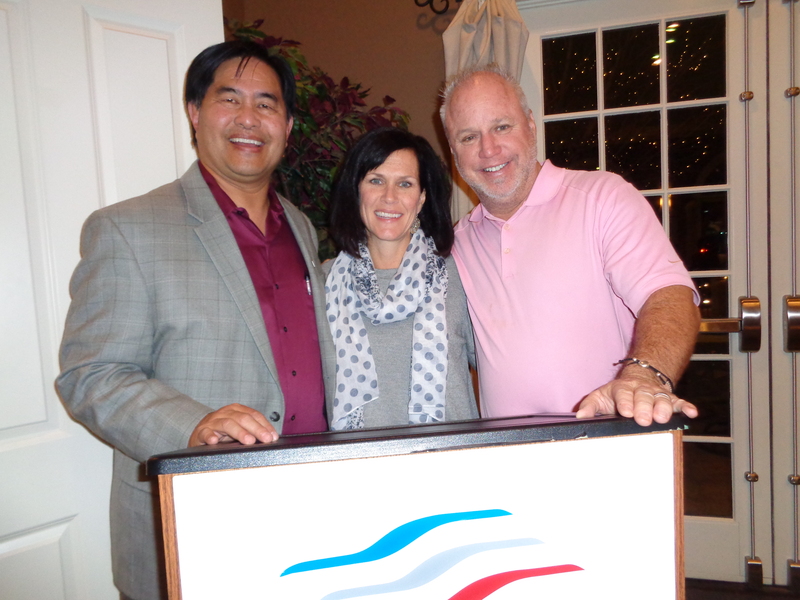 Best party – The annual Christmas gathering of the Rocky Mountain Automotive Press, at which David Muramoto was recognized as incoming president, succeeding Andre Smirnov. 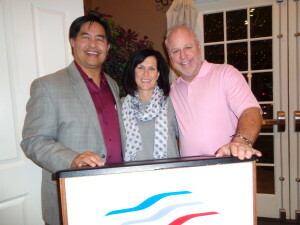 The gathering was in the Bud Wells Board Room of the Colorado Automobile Dealers’ Bill Barrow Building at Speer and Grant. MPG – 36.3 by the Nissan Versa with 1.6-liter engine and CVT, and 34.3 by the new Civic. Hybrids – 39.8 by the ’16 Hyundai Sonata and 38.5 by the Toyota Camry. Diesels – 38.9 by the 2015 Volkswagen Golf Sportwagen TDI; well, scratch that! Guzzling – 14.4 mpg by the ’15 Nissan Titan, the same model which was lowest a year ago; the Titan is represented by a much-improved product for 2016. Oh those e-mails! – I enjoyed your review of the Alfa 4C a lot and it brought back memories of the Alfa we owned in New Jersey for three years prior to 1992. 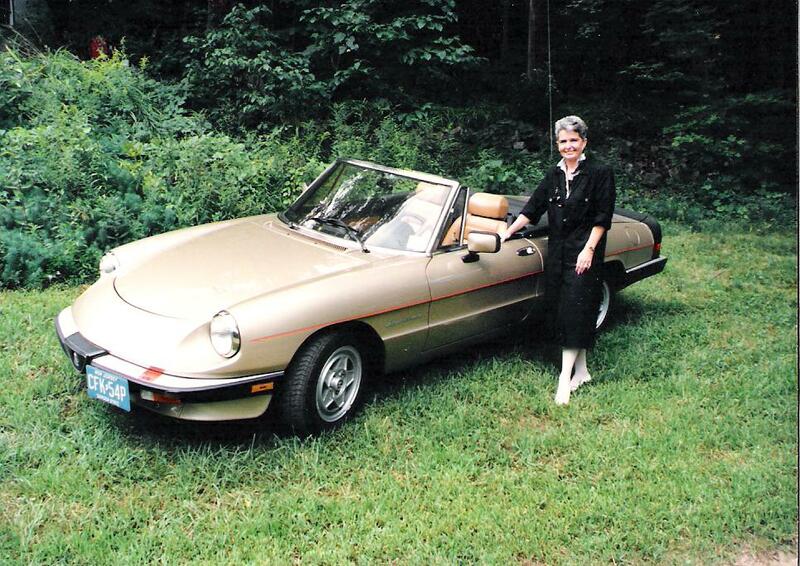 The car was beautiful, and just the right size for my wife, Betty Sue, who came home with it one day and announced she had purchased a new ride for herself. Fun to drive, though odd things happened with it; horn fell out of the steering wheel, window crank fell off, trunk cable broke. I consider all the cars you reviewed, though, outclassed by my BMW Z4 Roadster – roomy cockpit, heated power seats, 27 mpg on 85 octane fuel, and a great combination of styling, comfort and functionality. – Ernie T. Harris, Broomfield. Aleks Vekselberg, left, owner of Bentley of Denver, in the showroom with Rod Buscher, longtime Colorado auto dealer. Buscher and John Elway were partners in car dealerships in Denver 20 to 25 years ago. 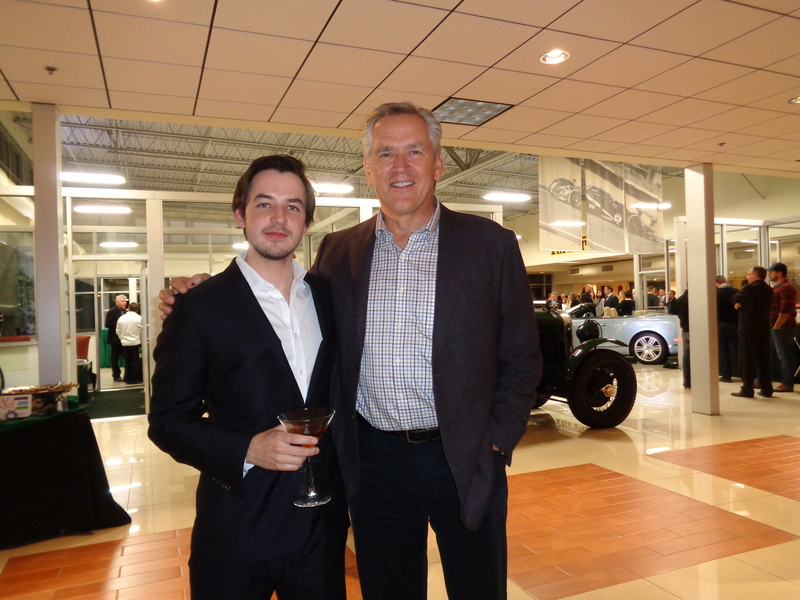 Fresh face – Aleks Vekselberg, 27, new owner of Denver Bentley, Ferrari and Lotus. Three years ago he was a student at Yale University. His father, Viktor Vekselberg, has been called the richest man in Russia, with estimated worth of $18 billion. Welcome back – The Italian-based Alfa Romeo is back in the U.S. after a 20-year absence, with the 4C Spider. Accessing and exiting the low-slung sports car are difficult. Jan’s favorite – The 2015 Hyundai Sonata Sport sedan. Best greeting – Happy New Year!